When hip-hop artists take a trip over to the UK, we often see them pay a visit to Tim Westwood for an interview or freestyle. 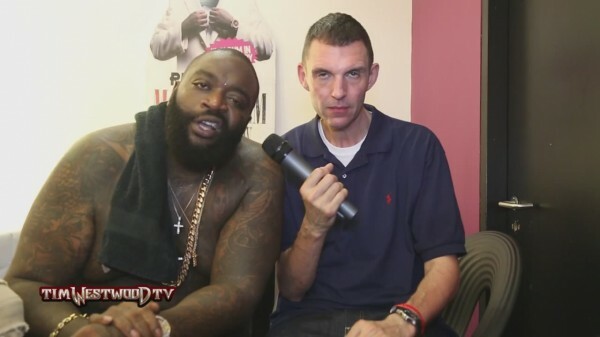 On this occasion, Rick Ross was overseas in the company of Westwood, and the difference this time was the fact they were both extremely drunk. The main topic of the interview was the incident between Jay Z and Solange, and the MMG frontman gave his thoughts on the singer, running into his own situations with women and paying respect to Jay Z in how he dealt with the conflict. As well as this, Rozay spoke on his ongoing weight loss and gym routine.